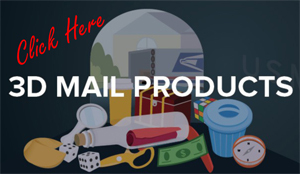 Now, you never have to wonder if your prospects are opening your mail, because you have 3D Mail at your hands (who wouldn’t open a bank bag or mini trash can they received in the mail?? Of course, we would all open it)!!! 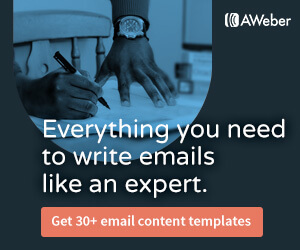 Here’s a 7 minute video I created for you, so you can see different 3D self mailers and grabbers (makes your envelope lumpy so it gets opened) that you can use in your own direct mail campaigns. You can also check out some of my blog posts about my 3D Mail campaigns here, here, and here. Pretty cool, huh?! 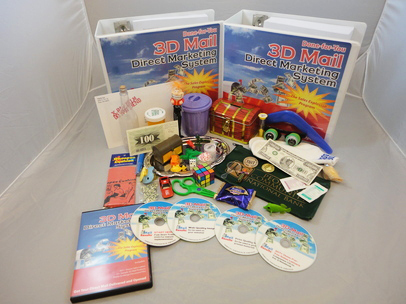 Be sure to visit my affiliate at 3DMailProducts.com or Click Here to see all of the 3D Mail Products available. 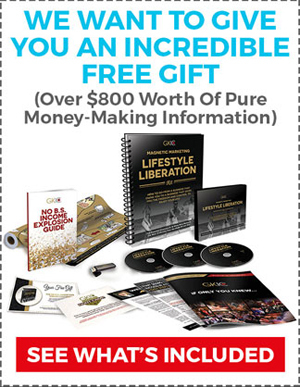 You get everything you see above to get you started on the right path to 3D Mail and to stuffing your bank account full of money (looks like you’re going to need that bank bag after all). 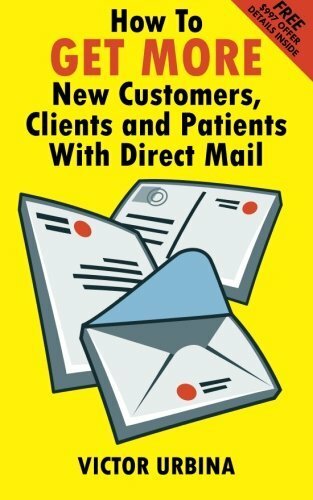 You can get the 3D Mail Direct Marketing System directly at 3DMailMarketing.com or by Clicking Here. As always, if you have any questions about my marketing adventures, please don’t hesitate to contact me by clicking on the “contact” tab above or calling me at 440-447-0852.